Searching for the best mobile friendly WordPress themes can be a difficult task to accomplish given the fact that all WordPress themes should be mobile friendly and responsive in 2017. There is a spectrum, however, which means some themes are more optimized for mobile devices than others. What are the most important features of these themes, and why is using them important? Let’s talk about that before we get to our list of what we feel are the best mobile friendly WordPress themes. What are mobile friendly WordPress themes? Mobile friendly WordPress themes are themes that have been designed to go above and beyond when it comes to how well they perform on mobile devices. 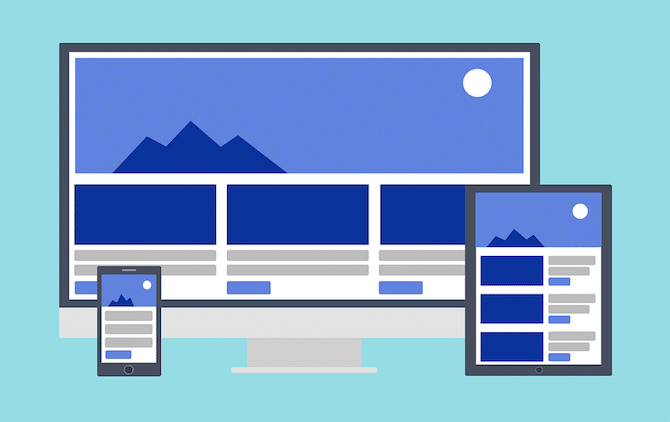 This starts with a responsive design, which means the theme adjusts its size automatically depending on the screen size of the device it’s being viewed on. In short, this means text, images and interactive elements are legible and easy to use no matter if you’re viewing them on a 27-inch monitor or a 5-inch mobile device. Speaking of text, the fonts you use are important as well. Classic fonts are not optimized for the web in 2017. They were fine when the only places they were being used were websites that would only be viewed on screen sizes no smaller than 15 inches or in Word documents designed to be printed out on physical paper, but they’re outdated when it comes to the modern web. Mobile friendly WordPress themes use what are known as “web-friendly fonts”. These are a combination of classic and new fonts that have been revamped for the modern web. They’re smoother, and they look good at any size. Classic fonts, on the other hand, may look jagged and illegible on smaller screen sizes. A popular source for web-friendly fonts is Google Fonts, a library full of popular fonts that have been redesigned for the web. This is why many WordPress themes include support for the Google Fonts library out of the box. Speed is another important feature of mobile friendly WordPress themes. Mobile devices have fewer resources than modern desktops and laptops, and they run on unreliable Wi-Fi connections. This means ensuring your website runs as smoothly as it possibly can is a must if you want your website to be optimized for any device your visitors may use. Without further ado, here are some of the best mobile friendly WordPress themes for your blog or website. 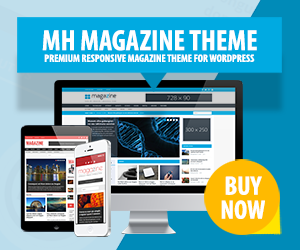 MH Magazine is our very own magazine theme, and there are many reasons as to why it's appearing on our list of the best mobile friendly WordPress themes. This includes a responsive layout optimized for various screen sizes and operating systems as well as a compatibility with modern browsers. It also comes with a collection of the most popular Google Fonts, ensuring you have enough web-friendly fonts are your disposal. MH Magazine is mobile friendly out of the box. With over 22,000 sales, Uncode is one of the most popular multipurpose WordPress themes available on ThemeForest. It has over 40 homepage concepts, all of which feature stunning, modern and even artistic designs. Uncode uses a responsive design and modern, lightweight code that ensures the theme loads quickly and runs smoothly. It also comes with fonts from Google Fonts, Typekit, Font Squirrel and Fontdeck. As a result, Uncode is a beautiful, flexible and creative WordPress theme. The X Theme is one of the most versatile themes available for WordPress and one of the most popular with over 154,000 sales on ThemeForest. It's also one of the most mobile-optimized themes, which is why it's being featured on our list of the best mobile friendly WordPress themes. X is powered by the Cornerstone page builder plugin, giving you an unlimited number of ways to build websites. It's also responsive, lightweight, compatible with Typekit and optimized for speed. H-Code is a multipurpose WordPress theme that comes with over 50 homepage variations for a variety of different niches. It's primarily a business theme, but it can also be used by professional blogs and magazines. This professional WordPress theme is 100% responsive and optimized for a variety of different devices, including retina devices. It also features lightweight code, making this one of the most mobile friendly WordPress themes available. Jevelin is a multipurpose WordPress theme designed for business. It comes with multiple homepage demos that cater to different niches and feature different styles and layouts. It's mobile ready and has been fine tuned to look great on any device. It also uses smooth animations and lightweight styles and code, ensuring your website is optimized for speed no matter what device your visitor uses. Therefore, Jevelin is a great mobile friendly template suitable for various purposes. Kalium is a business theme for creative professionals, including photographers, designers and DIY ecommerce retailers. Every demo this theme offers features a sleek, minimalist and modern design. It's also one of the most mobile-friendly themes in existence. It's responsive, and it features over 4,000 web-friendly fonts from Google Fonts, Font Squirrel and Typekit. It also features a tool called Adaptive Images that detects your visitor's screen size and automatically creates, caches and delivers device-appropriate, re-scaled versions of your pages. Brando is a multipurpose WordPress theme that comes with multiple homepage demos for different types of businesses. Each demo features an artistic design that's sleek, chic, modern and slightly minimalist. It's on our list of best mobile friendly WordPress themes for a variety of different reasons. For starters, the theme is 100% responsive and compatible with every device, even retina devices. It's also optimized for speed, and it comes with over 500 fonts from the Google Fonts library. Gillion is a multi-concept magazine and blog theme that comes with multiple demos and several layouts for articles, headers and sliders. It's on our list of best mobile friendly WordPress themes based on its responsiveness and lightweight design that makes it optimized for speed. It also uses beautiful fonts that look great at any screen size, ensuring your content is legible on a variety of different devices. Most of all, Gillion is a beautiful WordPress theme for blogs and magazine sites. GoodLife is a magazine theme designed for a variety of different niches. It has demos for the fashion industry, sports industry, gaming industry and more. It's also optimized for mobile devices through its responsive design as well as its clean code and styles that make it optimized for speed. The Voux is a stylish magazine theme that features a minimalist, feminine design. It comes with over eight demos that feature the same feminine style despite their different layouts. The Voux also has powerful social sharing and ad-friendly features. In addition it comes with a responsive design that's been optimized for speed in every little nook and cranny. Salient is a multipurpose WordPress theme designed for business. Each and every one of its demos features a stunningly modern design, each one using a layout that has some type business purpose. This theme is also one of the most mobile friendly WordPress themes on this list. It has a responsive and retina-ready design, and it's been optimized to perform well with tools like GTmetrix. It also uses Adaptive Images to scale your images automatically depending on the device your visitor uses. Ronneby is a stylish multipurpose WordPress theme suitable for a variety of different websites. It comes with over 45 pixel-perfect demos designed for agencies, service-based businesses, freelancers, blogs, WooCommerce stores and more. Ronneby is also incredibly optimized for mobile devices. Therefore, it has a responsive design and a lightweight, minimalist style designed to make this theme load as quickly and run as smoothly as possible. Soledad is a multi-concept magazine and blog theme that comes with over 900 homepage variations for you to choose from. It's a powerful and highly versatile theme capable of powering any content-heavy site. Soledad is also one of the most mobile friendly WordPress themes available for the WordPress CMS. It's responsive, retina ready, lightweight and comes with over 700 fonts from Google Fonts and Typekit. Soledad is a beautiful and mobile friendly template for editorial websites. With over 42,000 sales on ThemeForest, Newspaper is one of the most popular newspaper themes available for WordPress. It's a proper newspaper and magazine theme and has enough powerful features to make it more than capable of supporting content-heavy sites. It also has features that make it a lovely addition to our list of the best mobile friendly WordPress themes. This includes an entirely separate mobile theme designed specifically for mobile devices. Divi is a powerful WordPress theme by Elegant Themes. It's powered by the Divi Builder, Elegant Themes' page builder plugin. This theme, similar to the X Theme, allows you to build your very own website from the ground up using a drag-and-drop interface. You can, however, import a demo if you want to make building a website even easier. Furthermore, this theme is responsive and incredibly optimized for speed, making its design 100% friendly for mobile devices. Extra is another theme by Elegant Themes that's powered by the Divi Builder. This one, however, is a magazine theme while Divi is a multipurpose theme. It's designed for content-heavy sites, but you can use the Divi Builder to create and/or customize your own designs. This also means this theme is one of the most mobile friendly WordPress themes available for the WordPress platform, featuring a responsive design that's optimized for speed. Thanks for your beautiful themes, I really appreciate your work. I tried your theme and it works best. If you are going to review mobile themes, why not put screenshots as they appear *on mobile* not desktop? Hi James, thanks for your feedback. The screenshots in our directory are standardized. All listed WordPress themes are mobile-ready and they work very well on mobile devices. If you like a particular theme, you can easily test its demo on your mobile device (that would be highly recommended anyway) or use sites like Responsinator. Hi Radoslaw, thanks – we’re happy that you like these WordPress themes. We have an overview of performance optimized themes as well: Fastest WordPress Themes.